British bands seem to always have the firmest grasp on incorporating multiple instruments and genres into their music making. Somewhere between The Specials and Badly Drawn Boy, A Band of Bees (known simply as The Bees in the UK) is no exception. 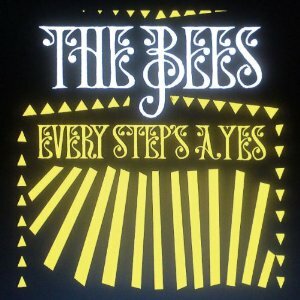 With their fourth full length album Every Step’s A Yes, The Bees take listeners on an aural tour that spans many genres. The first two songs in particular pack a wallop. “I Really Need Love” kicks off the album with a warm melody, reminiscent of a Bob Seger tune, accompanied by a non-gimmicky sitar. The second track “Wild Rose” is a slow, sultry, reggae-tinged groove. If you’re looking for a song to put on a make-out/seduction mix, this should be an immediate addition. The Bees mix things up throughout the length of the album. “Gaia” features sunny guitar rhythms, trumpets, and a groovy organ in the vein of tropicalia. On “Go Where You Wanna Go,” The Bees switch to a sound that is along the lines of 1960’s psychedelic rock. No matter what track you flip to, it will lead somewhere different. That isn’t to say this album is schizophrenic in any way. Every song comes together in a glorious cohesion that will have you melting away in total sublimity.